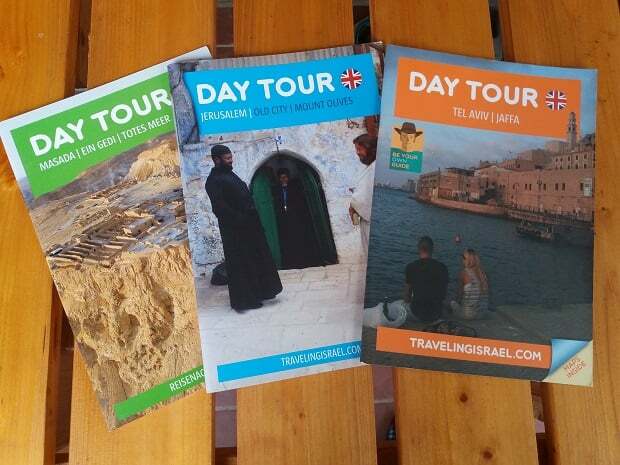 All travelers to the Old City of Jerusalem will visit the Wailing Wall and the Church of the Holy Sepulchre. 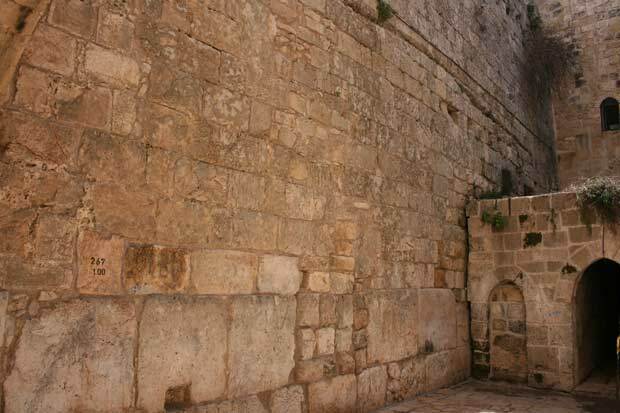 Not many people know it, but there is another, almost unknown, part of the Wailing Wall. 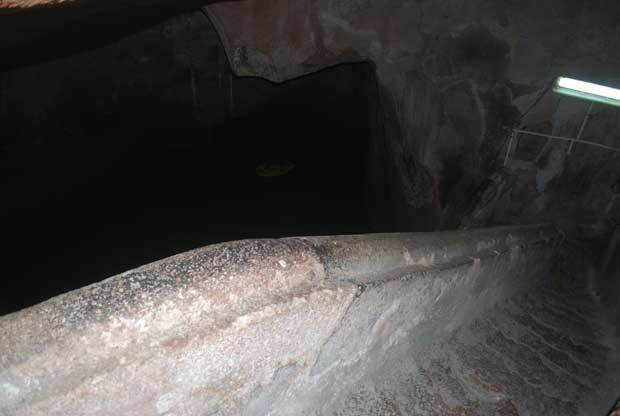 One might even say that this small part is holier than the Wailing Wall because it is closer to where the Temple stood and hence closer to the Holy of Holies. I enjoy guiding at this point because, while the Wailing Wall is recognized as a synagogue and, as such, there is a separation between men and women, the small Wailing Wall is not a synagogue, which means that men and women can stand together in what is one of the most important sites for Jewish people. Where? In the Muslim Quarter, at the end of Bab al-Hadad St. Next to the Iron Gate of the Temple Mount. The Armenian Quarter is the smallest quarter in the Old City of Jerusalem. 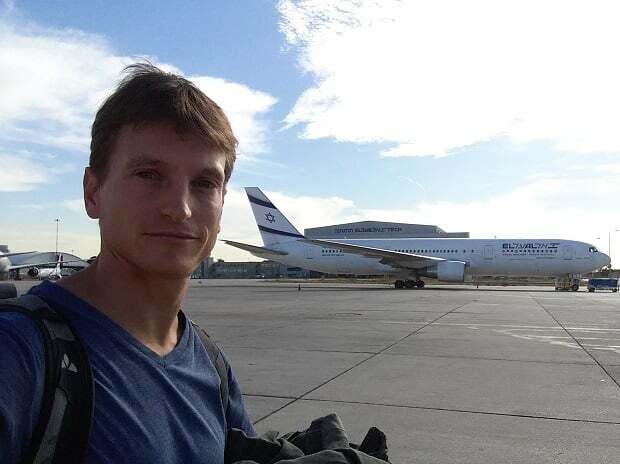 Many tourists pass through it to get to the Wailing Wall, but on their way they miss out on a very special site. The Armenians were the first nation to accept Christianity as a state religion and since the 4th century they have embarked on pilgrimages to Jerusalem. Most of the Armenians who live in the old city of Jerusalem today aren’t descendants of the 4th-century pilgrims, but families of refugees who came to Jerusalem after the Armenian Genocide of 1915. In the heart of the quarter stands St. James’ Cathedral, the most important church for the Armenian people. According to tradition, two important figures named James are buried in the church. The first is James the Greater, one of the Twelve Apostles, who was executed by King Herod Agrippa. His head was buried in this church and his bones, according to tradition, made their way on a shell to Santiago de Compostela in Spain. Santiago is the Spanish version of the name James and the symbol of the famous pilgrimage route to Santiago is a scallop shell.The second James is James the Just, half-brother of Jesus and first bishop of Jerusalem. Where? 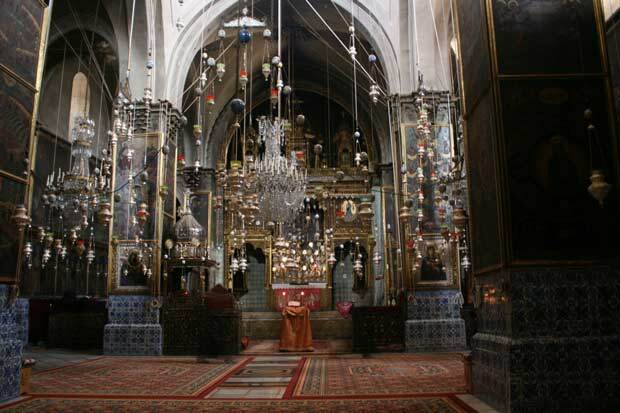 The Armenian Patriarchate St. Open daily only between 15:00-15:30. Closed on Sundays. The Via Dolorosa has 14 stations. Some are mentioned in the New Testament and some became traditional stops later. The ninth station, where Jesus fell for the third time, is a newer tradition. It is also the last station before the entrance to the Church of the Holy Sepulchre. I imagine it is for these two reasons that people pass it by quickly. 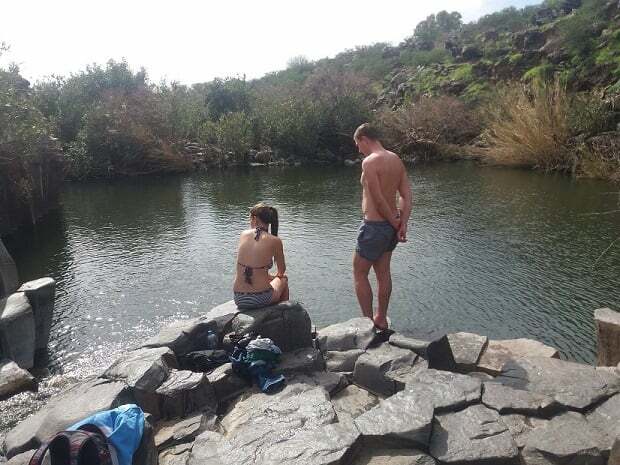 But if you go into the small chapel and pay 5 shekels, you can go down the stone steps to a 2,000-year-old water pool. This is one of my favorite places in Jerusalem: here you can feel the mystery of ancient Jerusalem. Where? The ninth station of the Via Dolorosa. The easiest way to get there is to go up to the roof of the Church of the Holy Sepulchre, through the Ethiopian Chapels that are to the right of the main entrance to the church. Jews pray in synagogues. Christians, in churches. And where do Jews who believe in Jesus pray? 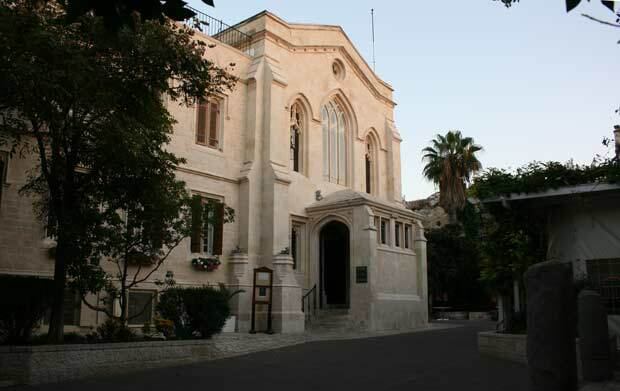 Christ Church was built in 1849 and was the first Protestant church in the Middle East. 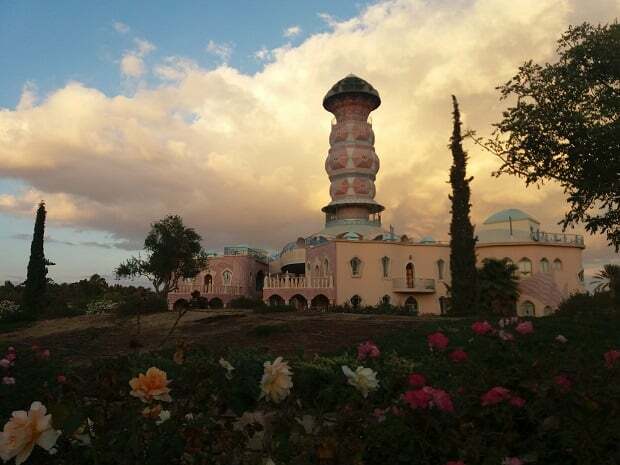 It was built by a messianic institution that had the aim of converting Jews to Christianity. In a bid to create an environment that is more comfortable for Jews, there are no crosses and the writings are in Hebrew. Similarly, the word ‘Immanuel’ is substituted for Jesus. Immanuel is one of the names given to Jesus. Jews were naturally against these kinds of institutions and today this mission is illegal in Israel. Now Christians and Jews who believe in Jesus pray together in the Church. Where? The Armenian Patriarchate 55. Not far from Jaffa Gate, in front of the entrance to the Tower of David. 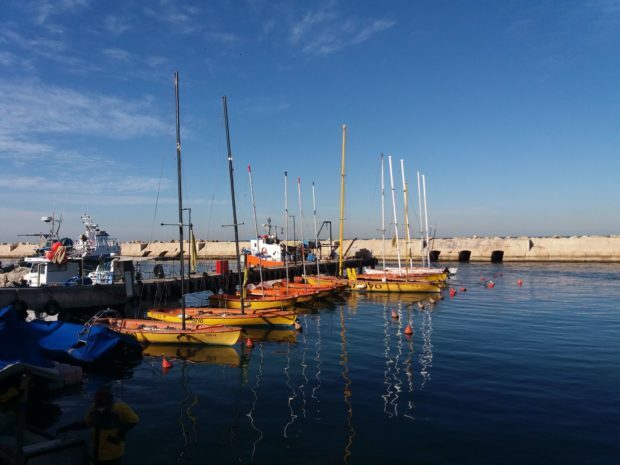 You would need to know the exact location of some of the sites I have written about in order to find them. 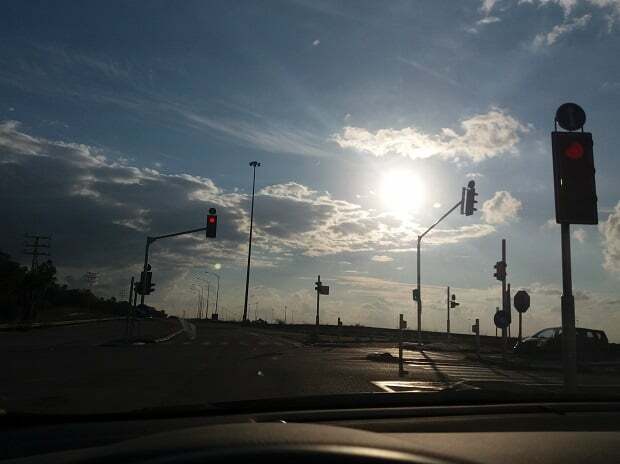 Other sites, like this one, you may come across without realizing where you are. In the 1970s, when Israel was renovating the facilities in the Old City of Jerusalem, excavators came upon a Byzantine street. Instead of just covering it up, the authorities decided to raise the stones up to current street level, meaning that pedestrians are basically walking on a 1,500-year-old street without knowing it. Where? Christian Street, Christian Quarter. There are a couple of good lookouts in the Old City and this is one of my favorites. Although it isn’t high, it allows you to see Jerusalem from a different point of view, a few meters above the tumult of the streets. Many travelers miss the steel stairs. The name may be reminiscent of a hospital, but the site was built as a hostel for pilgrims from the Austro-Hungarian Empire. The Austrian Hospice was inaugurated when Franz Joseph I visited Jerusalem in 1858. It was used as a hostel until the British conquered the Middle East at the end of WWI in 1917. After the war the building was used as an orphanage, detention camp and hospital. It wasn’t until 1985 that Israel gave it back to the Austrians, who renovated it and made it into a hostel, mainly for pilgrims. 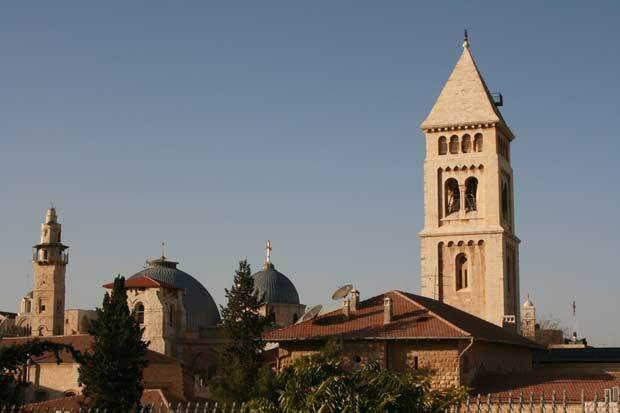 There are many European institutions in Jerusalem but the location of the hospice, in the heart of the Muslim Quarter, next to the third station of the Via Dolorosa, makes it an excellent place to stop during a busy day. 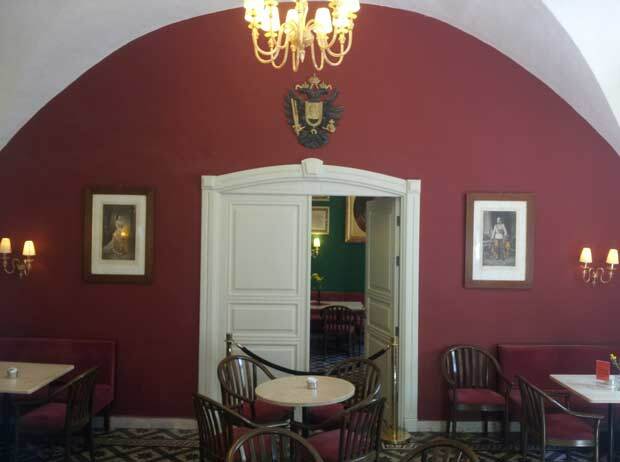 The place is known for its apple strudel: although there may be better strudels to be had, this one can be enjoyed with Franz Joseph and Elisabeth (Sisi) looking down at you from the wall. The roof of the hospice provides good views of the Old City and Temple Mount. 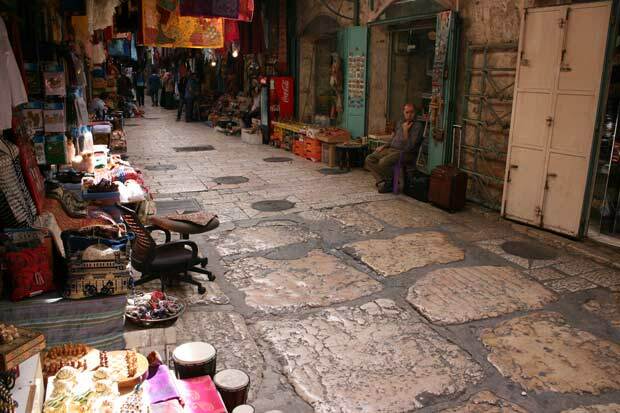 As you walk around the Old City you can’t avoid passing through a lot of shops. Most of them sell the same thing, but a few of them, like the Elias Photo Shop, sell something unique. 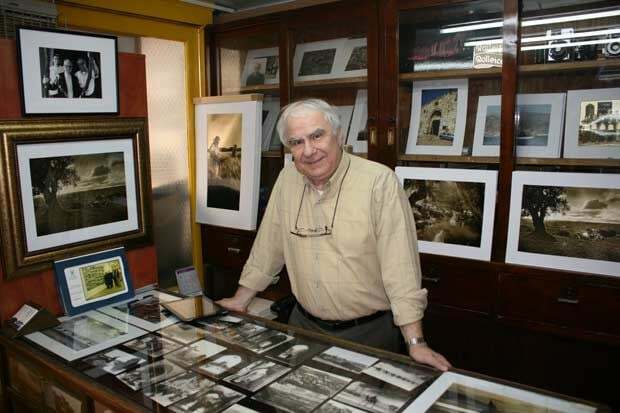 In this shop, George sells photos of Jerusalem that his family has been taking for three generations. The wonderful photos remind you just how much Jerusalem has changed in the last 90 years. If you are looking for a special gift to bring back home from Jerusalem, this might just be it. Many miss this shop because it is not on the main streets (although very close by). Where? Christian Quarter, Al Khanqah (E khanka). A couple of shops after the eighth station of the Via Dolorosa. 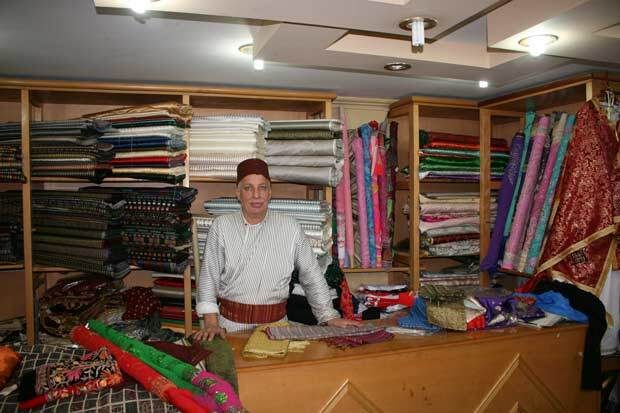 Another very special shop is the Bilal’s oriental fabric shop. He imports exotic fabrics from Syria, India and Turkey. His customers are also very interesting: religious figures, be they Jews, Muslims or Christians, buy his special fabrics for their mantles. As a religious city, Jerusalem is very suspicious when it comes to inter-religious initiatives. As such, sometimes it seems that people of different faiths can only meet in this kind of place; maybe not to communicate, but rather to shop – but that’s also something. Where? Christian Quarter: In the market, not far from Muristan St.